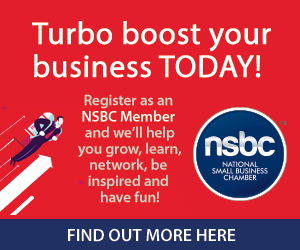 The NSBC approached some of their Premier Members and Partners to learn more about how they became a successful small business. Today we feature The Supremacy Group. 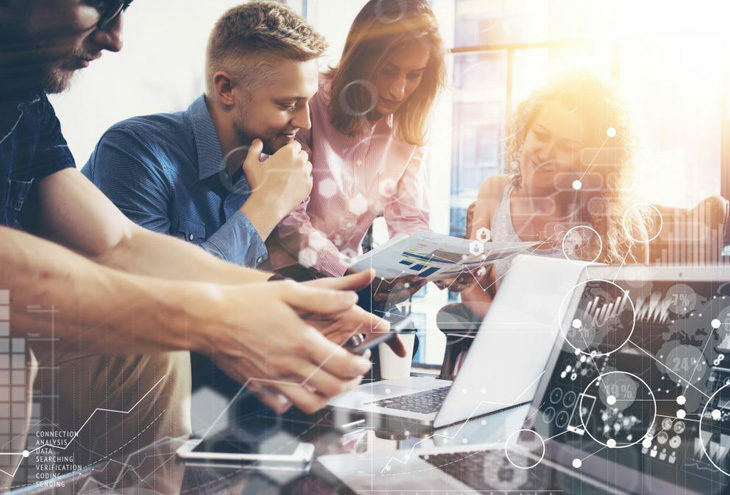 The Supremacy Group was started because the owners had a passion to help small businesses become and remain compliant according to various laws within their industries. The two powerhouses who own The Supremacy Group are Adv. Carien van Dijk, a tax advocate at the High Court and master tax practitioner at SARS; and Penny Smith, a payroll specialist with over 40 years’ experience in payroll audits and management. Their business offers accounting, payroll, tax and company secretarial services. This is what they had to say about success and overcoming tough times in business. When you absolutely just love what you do and people start to request you to share this with them. In my view, you are then successful. When you have a passion for what you do and you work hard, the rest just falls in place. We are just extremely blessed to have grown so much and give our employees with the same passion a chance to grow with us. First and foremost, attribution is giving to our Heavenly Father, then also to the unconditional support of our families, and our staff at The Supremacy Group itself. Success is not something you can easily achieve or really enjoy without these people by your side. Our lesson was not learnt from the actual failing, but after the failure. This is when you decide that you are stronger than the problem and you realise how durable and resilient you are. It has also taught us to trust that there is a reason for the failure, and several times we actually saw that the reason is sometimes merely to learn something (which in the end gives you the edge in the business as you can advise ways around it due to personal experience). Sometimes it is even a blessing in disguise, and sometimes you still do not know the reason but you must be rest-assured that it will be revealed in due time. Our best moment in The Supremacy Group for me was definitely the day that we as a team were able to have our year-end function at the Barnyard. While walking to our seats in the balcony I realised that in just two years we have grown so much that we filled all 15 seats. It was amazing that we just became a working family so quickly, and every time someone asked one of the staff where they were from, they gladly announced: “From The Supremacy Group”. What a great moment. Such a valid question at the moment, and it is something that I can answer with an analogy from my childhood. When I was about eight years old, I started doing athletics and it was my first time running the 100m race. I immediately asked my dad for tips, and he told me that the secret was to just look in front of you and not at the other runners next to you, because when you focus on them you slow down automatically, and you will cross lanes. I trusted my dad’s advice and I just focused in front of me the entire time, I was so nervous, but I finished and I came second. The same applies now. When things get tough, I don’t focus on all the problems next to me or the people that cause the problems; I just focus on my end goal and through faith, determination and hard work, my team and I do all we can to reach it. My success habits are to learn to look after yourself, take time to do the things that make you happy and be with the people that love you. I have learned early in my career that you cannot pour from an empty cup. Adv. 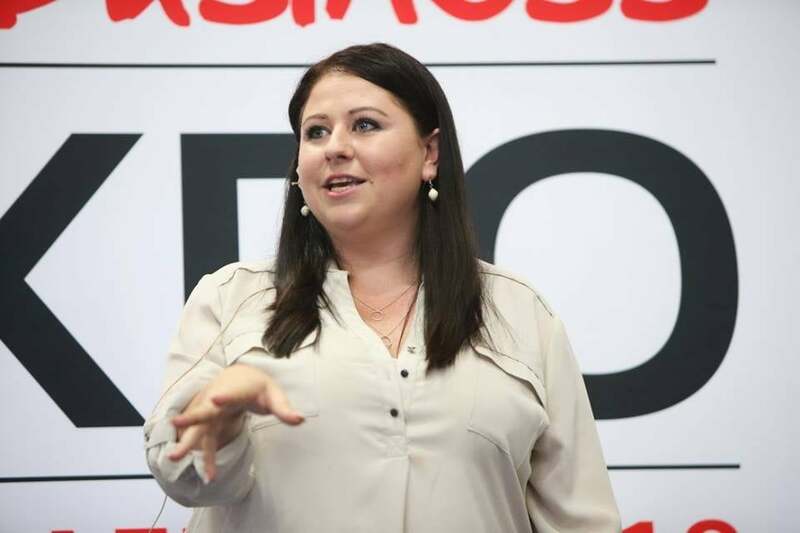 Carien van Dijk (Managing Director at the Supremacy Group) speaking at the NSBC: MyBizExpo2018. Well done, Carien van Dijk and Penny Smith from The Supremacy Group. We hope you will grow from strength to strength.